Phyl's Blog: Time for... freeeeeedom! I just got this in an email from Tesco. I know in the scheme of things it doesn't actually make any difference, but it's the wee things like this that have always got on my nerves. 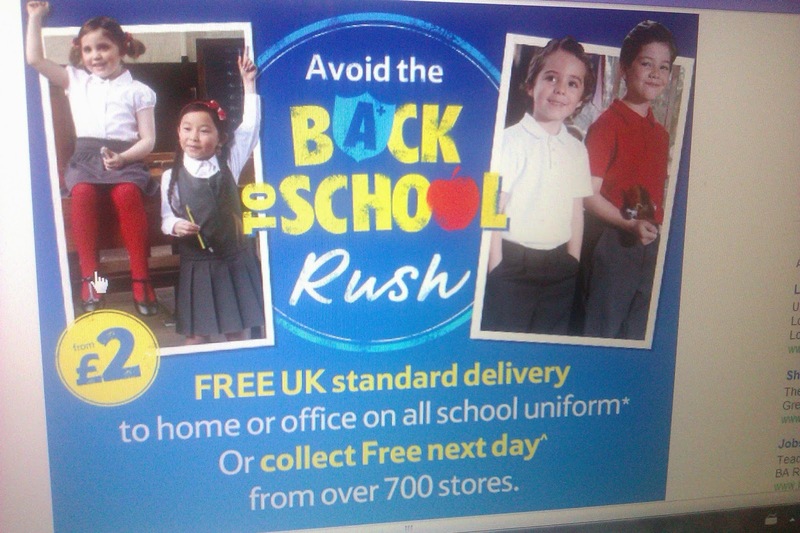 The English chain happily emails all its Scottish clients telling them to rush to get in their uniform items in plenty of time for the start of the English term, blissfully unaware that Scotland's kids have all been at school for a fortnight and that it was exactly four weeks ago that they should have sent me this, if it was to be at all helpful. It's like being in that kind of marriage where one partner has absolutely no notion of the other's needs.